A sweet and delicate bangle that goes with everything. Free domestic shipping through 2/14/19! 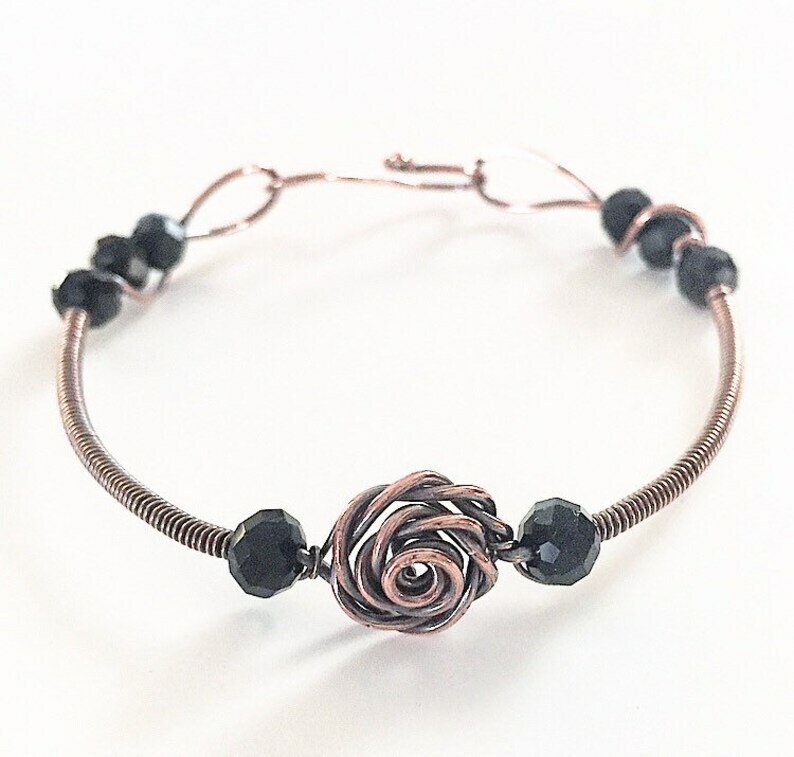 I started with bare copper wire, formed the rose focal, then added black, glass, crystals and coiled the band. I finished with a hammered wire clasp, then antiqued it with los solution. I have several unique color combinations in this style available, see the last photo.